Like me, do you have a hard time decorating shelves? I have so many shelves in my house, and every time I’ve had to style any of them, I would put things on and take things off at least 15 times before I liked the way it looked. I still struggle with this problem sometimes, but over time I’ve come up with a few easy tips that will make any shelf look great. 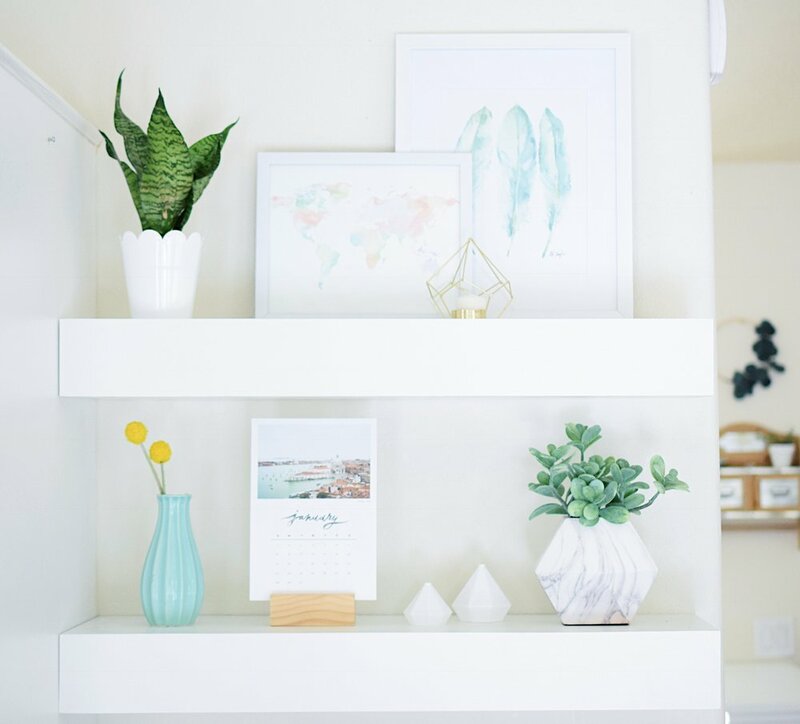 Here are my simple and easy steps to styling your shelves. 1. ART: Start with some framed art or pictures. This can extend to any kind of art, calendars, and letter boards as well. I like adding tall pieces to the top shelf, especially if you have a lot of empty wall space. Since there wasn’t too much space between my two shelves for anything large, I added a calendar to the bottom shelf as my art piece. 2. PLANTS & FLOWERS: Next, add some greenery and/or flowers. 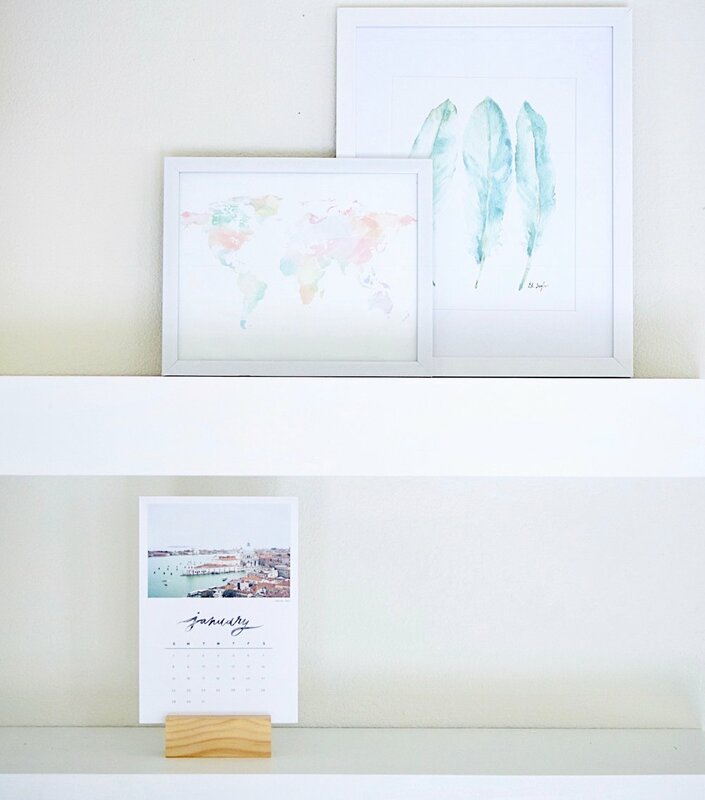 This is such an easy and inexpensive way to make shelves come to life! My favorite plant right now is the snake plant, because I have an incredibly perpetual black thumb, and so far I haven’t killed any of the ones in my house...yet. Too bad I can’t say the same about my poor succulents; they deserved better. But seriously, greenery is everything when it comes to home decor. 3. DECORATIVE PIECES: Finally, add some small trinkets to any empty space you have left. This adds some dimension to shelves, and definitely some character. I am obsessed with geometric shapes at the moment, and I’ve found that Hobby Lobby has a lot of super cute and inexpensive decorative pieces. Let me know if you know of any other stores that sell darling little things; I am always on the hunt for something unique and pretty! And there you have it! 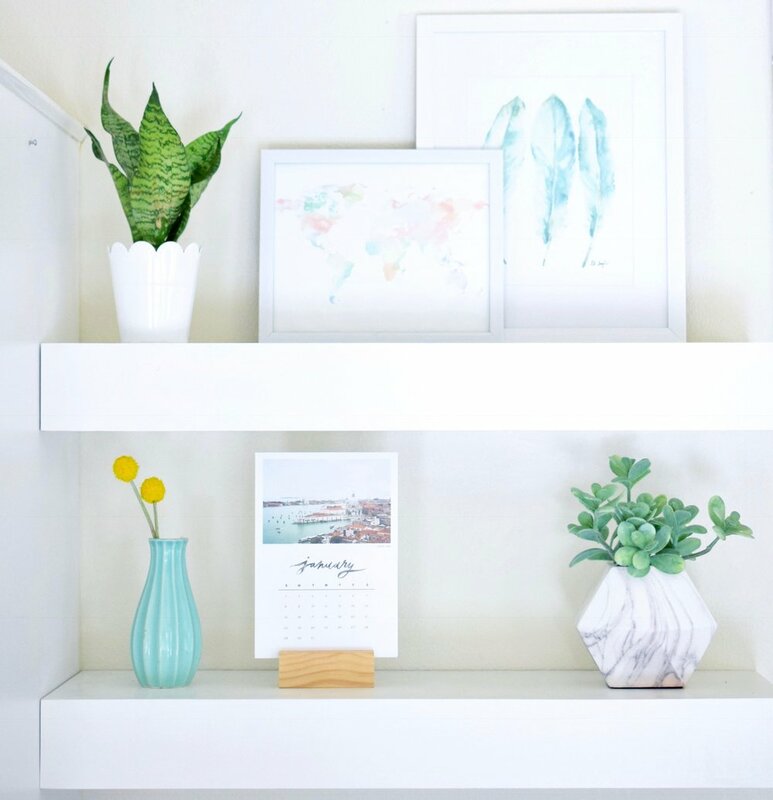 Three simple steps to get your shelfie game going strong! 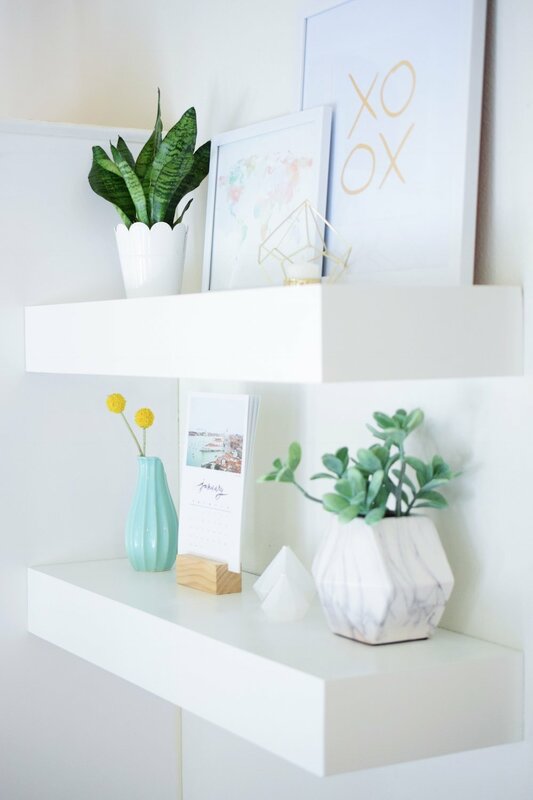 Also, if you're looking to build some floating shelves like these, go check out www.mr-buildit.com for free plans and a step-by-step guide!